Amber is a Certified Yoga Teacher, Elemental Yoga Therapist and Ayurvedic Lifestyle Counselor with a PhD in Biomedical Engineering. During the last two decades, her love for yoga, meditation, reiki and holistic health has led her to study with many Masters in Asia, as well as to continue her personal journey of inner discovery. Amber’s academic background and esoteric experiences bring a unique integration between Western Science and the Sciences of Yoga & Ayurveda. 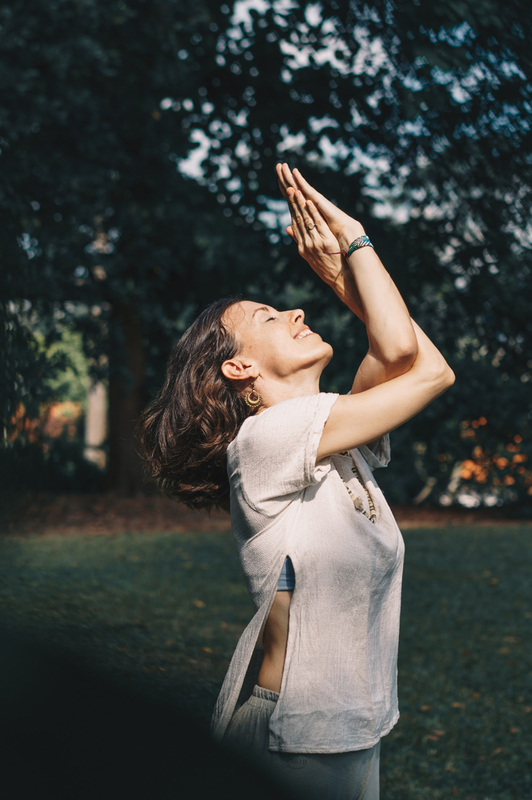 Together with these modalities, as well as with great inspiration from the Elemental Yoga trainings with the Swara Yoga School, Amber shares a creative expression of Elemental Yoga. She is passionate about inspiring evolution, awakening and optimal health that exists within each individual. Angela’s love for extreme sports like vert inline skating & inline hockey has led her to many adventures such as representing Singapore as part of the National Team at the FIRS World Inline Hockey Championships in Czech Republic, Canada & Spain. The years of playing high impact sports took it’s toll on her body, and searching for a way to continue the sports she loves, she started yoga classes with Amber, and found it to be enjoyable and the perfect way to recover faster, and increase flexibility to prevent injuries. Practicing Elemental Yoga under Amber’s gentle guidance, turned out to have even more benefits, bringing about a calmer mind and an overall feeling of balance and harmony between the body and mind. She has started this collaboration with Amber to film these special sequences to share with more people so that they may enjoy the many benefits of practicing Elemental Yoga too! 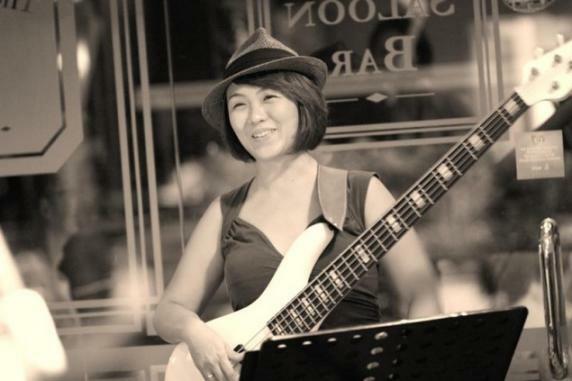 Wendy Phua is a music composer/arranger/sound designer with a deep interest in technology. 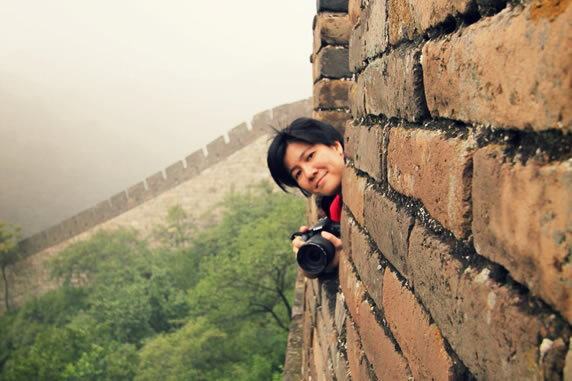 She has created music for Weike Gaming Technology, an MDA-commissioned animation short film, and a Windows 8 puzzle game LINX. Also an endorsed bassist with Yamaha and KLOTZ Audio Interface Systems, Wendy has performed with James LoMenzo (Megadeth), Mel Gayner (Simple Minds), Shaggy, Emma Shapplin and Riki Hendrix. Her music has been featured on radio and TV networks Channel News Asia, Lush 99.5FM, Redifussion, and Mediacorp News Radio 93.8 FM. Enthusiastic about music therapy and its beneficial effects, Wendy co-founded Lucid Soundworks LLP in 2013 with Angela to create music for mental and emotional well-being. She is convinced that music, combined with research and technology, can be more than a recreational enjoyment and could be applied to enhance emotional well-being. 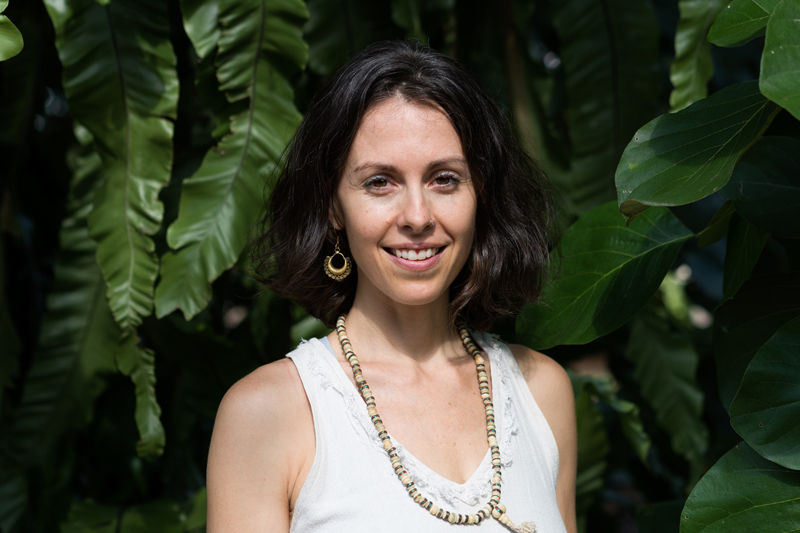 As an Embodiment Facilitator, Amber shares the joy of living through holistic practices of yoga, active meditations, and elemental wellness, as well as combines these offerings with her service as a birth doula and holistic guide for pregnancy / postpartum women. With nearly 20 years of study and practice in Yoga, Ayurveda and Meditation, as well as a PhD in Biomedical Engineering in the field of stem-cell tissue repair, Amber brings a unique perspective on healing and self-discovery through the influence of scientific and ancient wisdoms. From 2009 – 2018, Amber founded a community in the heart of Singapore known as Satsanga where she offered weekly active meditation and yoga classes, kirtans and community events. Amber has also studied directly under the tutelage of many Masters, learning to share Active Meditations (using sound & movement), as well as has been certified in more than 900 hours of Universal Yoga, Hatha Yoga & Yin Yoga, Prenatal/Postnatal Yoga & Mindful Birth, Elemental Yoga Therapy and 1400 hours of Ayurvedic Lifestyle Counselling. Amber also holds certification as a birth & postpartum doula, and has been serving as a midwife assistant and doula over the last two years. After the birth of her little one in 2015, Amber shifted into her current offerings, which include mothering her vibrant little one, supporting her family, continued work with group immersions and retreats, biannually leading a 200hr Elemental Yoga Teacher Training and Prenatal/Postnatal Yoga Teacher Training, and working on a more individual basis of empowering others to find their inner and outer harmony through a variety of practices including breathwork, nutrition, constitutional analysis, yoga, meditation and daily rhythms. Yoga practitioner (2000 – present): practicing Hatha, Vinyasa, Ashtanga, Yin, Universal and Kundalini Yoga. 750-hour Ayurvedic Lifestyle Consultant Course with Vaidyar Atreya Smith, European Institute of Vedic Studies & with Dr. Sunil Joshi, Vinayak Panchakarma Centre, Nagpur, India (Sept 2010 – Sept 2011). Ayurvedic Anatomy & Physiology, presented by Dr. Satyam of SVYASA University, 30 hours, Singapore (June 2009).